Nick Delp, a sophomore pitcher who has steadily developed over the course of his first varsity baseball season, came up with his fifth victory of the year, Thursday, as the second-ranked Cardinals topped No. 13 Archbishop Curley, 8-2, in MIAA A Conference action on the Friars home diamond in East Baltimore. Six different players had at least one RBI for the Hall, and eight starters had at least one base hit. The Cards were paced at the plate by lead-off hitter Troy Stokes who had a home run and two RBI, and senior Colin Gimblet, who stayed hot at the plate with a single, double and two RBI. Zach Rowe chipped in with a pair of hits for coach Lou Eckerl. The Cardinals (18-7, 11-3), remained a half-game behind Gilman (21-9, 12-3) with the win. The Greyhounds defeated St. Paul’s, 9-6, on Thursday. The Hounds will close out their regular season on Friday night when they take on the Hall at Carlo Crispino Stadium. Calvert Hall concludes the regular season next Tuesday at Loyola Blakefield. A Gilman win on Friday would give the Greyhounds the top seed in the conference playoffs, which begin a week from Friday. The top two seeds get a first round bye in the double-elimination tournament. Eckerl said that the win over the Friars was a team effort. Delp said he was hitting his spots with his slider. He gave credit to the Hall offense for the win. Despite the loss, the Friars (11-9, 6-9) are still in the hunt to earn a playoff spot. Curley will have to defeat John Carroll, which knocked off Archbishop Spalding, 1-0, on Thursday, next Tuesday in order to gain the sixth seed. 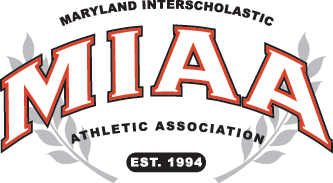 Curley (10-11, 5-9) advanced to the championship finals last season before bowing to Calvert Hall.